Life is creative continuation. “Modes & Codes” are the continuation of tradi­tion in our lives thanks to creating music it inspires. Listeners ask us, how this music comes to being, from inspirations to a final song? May the title of this CD explain that a little. Mode has two meanings in Polish: fa­shion or shortening from “modifiction”, well-known among game players, one computer game can have many modes. Mode is a sign of times. We have always tried to find the right mode for playing a traditional song but it is only now that we can name this process. By codes we understand – apart from the source code of Polish tradition – two characteristic musical codes: well­-worn folk hits known from so-called “song and dance ensembles” as well as chanting which is now popular in its hip-hop or ragamuffin versions but was always present in traditional perfor­ming art on the border of speaking and singing. Thanks to this combination we managed to make quite simple and me­lodious pieces which describe particular situations or stories, an unusual thing in traditional folk music. We used to move away from how tra­dition was treated by “song and dance ensembles” and Folk Industry Headqu­arters (we had such an institution in Polish People’s Republic). In fact the whole contemporary folk movement was established in opposition to it. However, the codes of that music are solid. It is enough to change their modes to discover them again. Anyway, retelling old themes and topics again and again, in the way one can and likes to, is what it is all about. In order to – like Scheherezade – keep alive. Polish culture and it opened “the doors of perception” to folklore for many people. 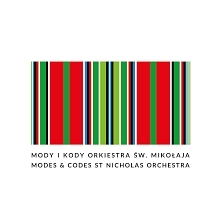 The Orchestra was the first Polish band to play new interpretations of traditional music from Poland. At the beginning we and the audience were fascinated with the very traditional acoustic harmonies, rythms and sounds. They seemed so unu­sual but at the same time woke up many associations with contemporary music. These inspirations were old and fresh at the same time. That was our school. With time, musical tastes developed and so did our music but its characteristic features - originality, complexity, dynamism, “white” vocals and acoustic sound – have stayed the same. The name of the Orchestra is “site specific”. It is not related to the com­mercial St Claus who gives presents but to St Nicholas, a popular saint of Eastern Christianity and a patron of many Orthodox churches in the East of Poland. These churches were mainly in the South-East mountainous part of the country which became known for its unique hiking movement. After the war the original Ruthenian inhabitants of these lands (Lemkos and Boykos) were repatriated so the mountains became abandoned for decades. Information of these events was censored. All that created the atmosphere of mystery which attracted people who were sensitive, creative and looking for freedom in a country under Soviet regime. Terraced fields overgrown with grass, orchards gone wild, traces of villages in abandoned valleys - all that was a great feed for imagination. It is no surprise then, that this hiking movement developed its own specific songs. One of them, written by a mountain bard Andrzej Wierzbicki, called “Ballad of St Nicholas”, was a kind of prayer to an icon of St Nicholas in a ruined Orthodox church. The refrain says: “St Nicholas, tell us how it was, what songs were sung, where the horses were grazing”. It sums up what the hikers thought about that landscape around them. But in this ballad St Nicholas does not want to speak and the song ends up with the conc­lusion that to communicate with him we should learn Lemkish and paint our own pictures of the past. So, when in 1988 there appeared a new band with young people dressed like peasants and singing Lemko songs, a leader of another band said about them: ‘This is “St Nicholas Orchestra”’. Laboratory of tradition. St Nicholas Orchestra is not only a musical en­semble. Apart from playing music the Orchestra also publishes a magazine dedicated to folk music and other arts inspired by tradition and organises folk music festival “Mikołajki Folkowe” (since 1991). Nowadays, tradition is a branch of art which demands creating new styles and patterns. For this reason, and also because we act at Maria Curie­-Sklodowska University, we sometimes think of ourselves as the “laboratory of tradition” beacuse like in a chemical laboratory we produce various “cultural reactions” and try new preparations and brews on our audience.